The first ballot in the election of the national chief of the Assembly of First Nations did not declare a winner. Perry Bellegarde got the most votes with 286 but needed 323, or 60 per cent of the 538 votes to be declared a winner. Sheila North had the next highest at 106, Miles Richardson with 87, Russ Diabo with 40 and Katherine Whitecloud got 19 ballots. Because Whitecloud had the lowest amount she is eliminated from the second ballot. The first ballot wasn’t without its controversy. Crown-Indigenous Relations Minister Carolyn Bennett was spotted leaving the room of the Alberta caucus Wednesday morning. But Diabo took issue with her meeting with Alberta chiefs and proxies as ballots were being cast. He said it tainted the election process and Bennett should have declined the invitation until the election was over. “‎At no point was the election for national chief ever discussed. 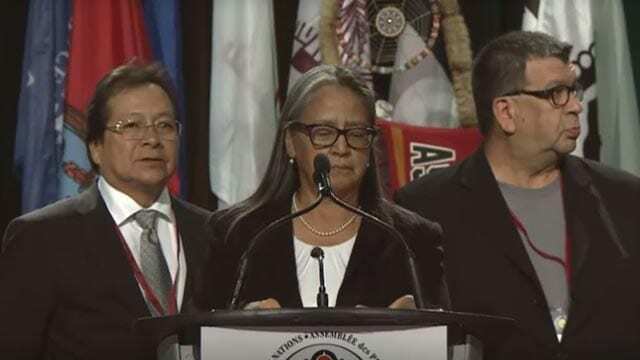 We have no role directly or indirectly in who the AFN chooses as its National Chief and we are committed to working with whoever occupies that office,” said a spokesperson for Bennett in a statement to APTN. Each of the candidates gave speeches to chiefs and proxies Tuesday. Diabo didn’t pull any punches in his address. He said the lobby group has become a “cheerleader” for the federal government’s approach to First Nations’ issues under incumbent candidate Bellegarde. “We opened the doors to the chiefs so you could take your issues forward. You need to have access to the prime ministers, the cabinet ministers … that’s how we made our organization, the AFN, more effective in that way,” said Bellegarde. He received several loud rounds of applause from the crowd during his speech. There were just over 2,600 people registered to the event, including 538 chiefs and proxies that cast a ballot. North also took aim at the AFN and Bellegarde. “We need a national chief that can sit at the table with the Liberals without becoming one,” North said. Trudeau has put a lot of money into the AFN since coming into power in late 2015. Under the Trudeau government, funding for the AFN has nearly tripled from about $13 million to approximately $32 million in the 2017-18 fiscal year according to financial statements released Tuesday. Richardson said First Nations are at a crossroads — continue to live under the Indian Act or move away from it as sovereign nations. Whitecloud’s speech that focused on hope and encouragement. nothing to safeguard the ongoing inbalances of resource sharing of profits created through every resource sector licened by the federal Canadian government, along with the province, if that came through, our indian trust funds programs can provide us with any type of opportunity, but the Canadian government is using and exploiting the AFN for a shield to deny that the Peace Commission Indian Trust Funds Program called the Indian Affairs branch can’t be ours to run,.. now they trying to create a second INAC process and that is again ,like so many other occasions without consulting us on the spending of our funds,.. and they know what that amount is,.. that is always they goal is to keep us away from the true knowledge of the Trusts of the resources funds ,.. even the knows it should be handing over over 1 and half of all the resources shares made annually,.. but it has never shown the true numbers of the Accounts of the resources sharing moneys , never,.. now they’re messing with the elections process,… she needs to answer accordingly on impacting the true nature of Canada’s position to being there talking only to Alberta and trying to leave unnoticed,..
Wow. We are looking for outcomes. What I see and hear so much about are incomes. 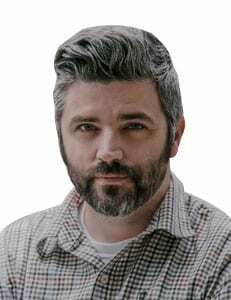 The people are lookig for better outcomes. What about creating an economy, providing jobs, and Nation building. When do we start building something enough with the meetings already. We had better see something begin to come of all of this.